is located on Highway 97 North, 4 minutes north of the Kelowna Airport, near Winfield/Lake Country, B.C. Click here for a tour, glance at a map, or view our contact information. Don't forget to take a look at our breakfast and lunch menu. "The name Jammery comes from our similarity to local wineries" states founder, Bill Morrison. 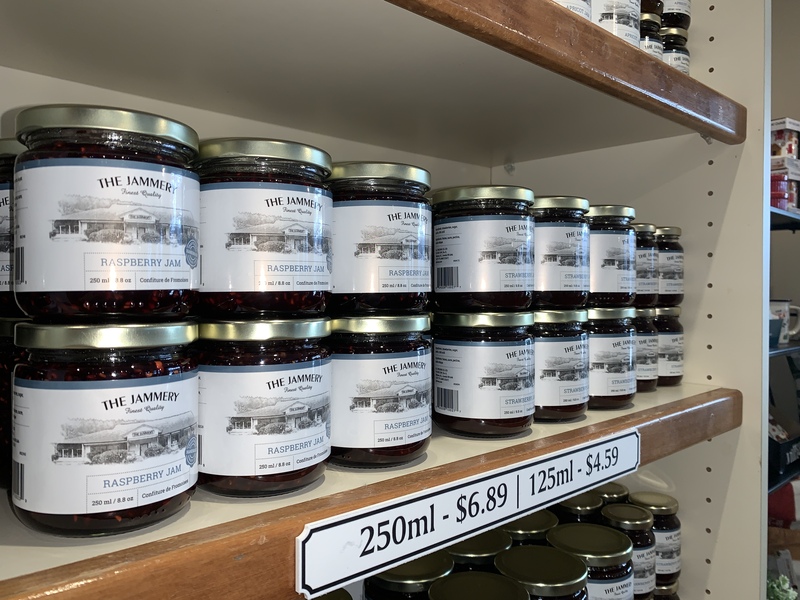 You can view our jam production area from the viewing window in our gift shop. 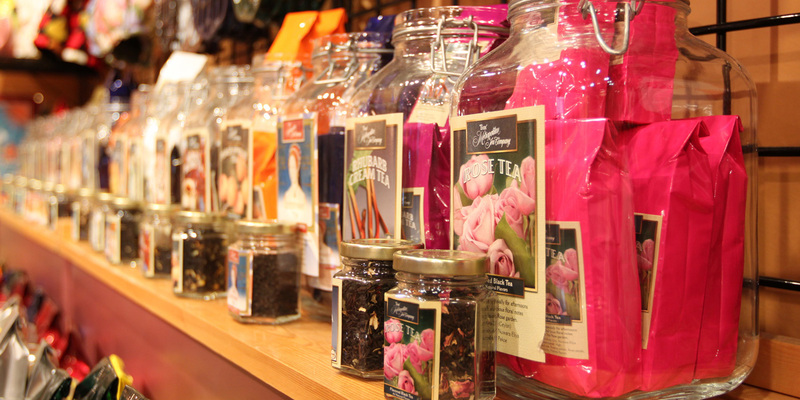 Taste our products made on-site. Life size historical photographs of the local fruit industry greet you at the front door. Join us for breakfast and/or lunch. Try our homemade scones with devonshire cream and our jams and check out our gift shop. How about "All You Can Eat Waffles" with whipped cream and our own four-berry or strawberry sauce served all day, everyday. 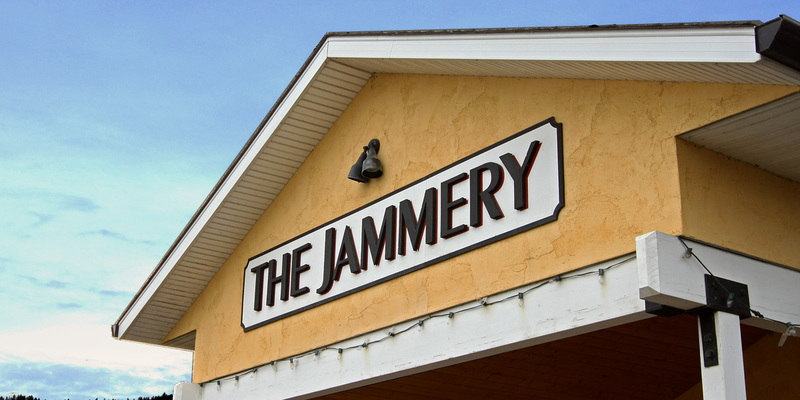 The Jammery is located on seven acres of agricultural land and houses a restaurant, a gift shop and our jam production facility. We are value-added agriculture at its best. Local B.C. fruit is our main ingredient in our jams. All of our jams contain more fresh, processed fruit than added sugar. Our no sugar added jams are made with maltitol which is a natural sweetener recognized by the Canadian Diabetic Association. Since opening in October, 2000 we have expanded our production to include pepper jellies and "sweet and savory" products. 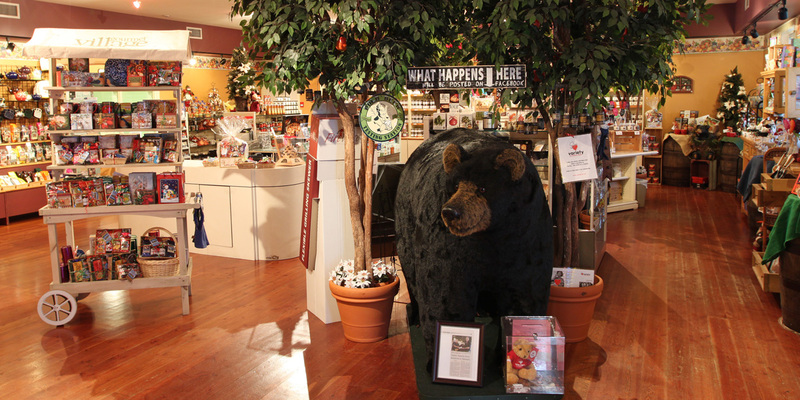 In addition to our products made right at the Jammery, our gift shop offers a variety of local food products and unique gift items. 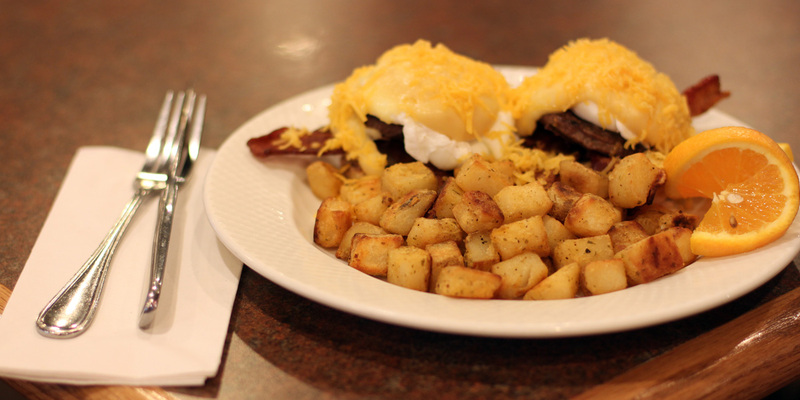 Our restaurant offers breakfast all day, and lunch from 11:00 am to close. 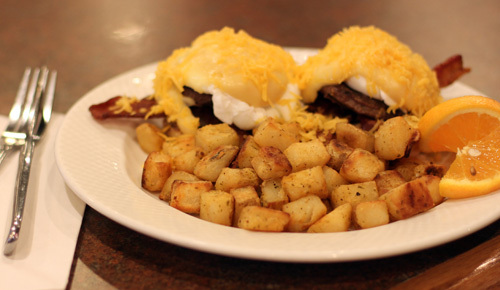 In addition to egg/meat/hashbrowns/toast/fruit/ combinations we offer a variety of Benny's, as well as several Scrambles, French Toast and Waffles. Try our Breakfast Paella. For lunch we offer a variety of paninis, traditional Jammery sandwiches and wraps as well as soup and salad combinations. Come sit in our air-conditioned restaurant or out in our enclosed sunroom. How about dessert and ice cream treats on one of our outdoor patios. Relax and enjoy the spectacular view. For information regarding wholesale, e-mail us at [email protected]. For information on our Wedding Jam Favour Program, e-mail us at [email protected]. We serve breakfast all day, and lunch from 11am to close. See how it’s made! View our jam production area from the viewing window in our gift shop. Come inside and satisfy your curiosity. 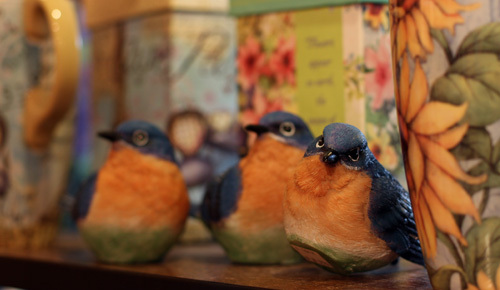 Take a peek inside our restaurant and gift shop!